The tight labor market is making it much harder to find the right talent, but this doesn’t mean you can relax your due diligence in vetting potential candidates. A new screening platform launched by InfoMart will give startups, growing small businesses, and mid-sized organizations a solution for simplifying the background check process. According to Infomart, the new small business platform has been specifically designed for small to medium sized businesses. For businesses with under 500 employees, basic screenings start as low as $28.95 per employee. The company says providing the new service is important because the reach of each individual hire in small organizations is extensive. If they are not properly vetted, the consequences can be just as broad, the company insists. 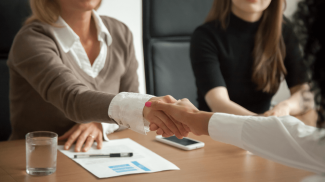 This makes it that much more important for small businesses to find the right screening partner to ensure their next candidate is who they say they are. By using a better screening tool or service a small business owner can eliminate negligent hires and lower employee turnover. Services previously only available to enterprise clients can now be obtained by small businesses. And you can receive the results with what InfoMart says is industry-leading turnaround times averaging 1.09 days. 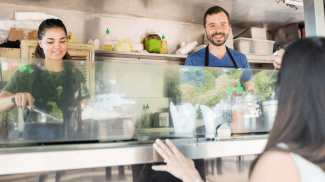 Small businesses can order background checks using the company’s ASAP ID, WebASAP and ASAPConnect. ASAP ID is a next-generation background screening solution using mobile technology. It lets you scan government ID and authenticate the document by making sure it is not synthetic or altered. Once the service has verified the document, it validates an applicant’s selfie matches the picture on government-issued ID. It then automatically populates the background screening portal for fast turnaround. With the proper credentials in place, InfoMart conducts the requested background screening services. This includes everything from criminal history to sanctions search, motor vehicle records, verified watch list, social media and more. With more than 28 years in the industry, InfoMart is accredited by the National Association of Professional Background Screeners with a team certified by the FCRA as a Tier I provider to Fortune 500 companies. This includes everyone from AT&T to DuPont, FedEx, Nissan, Campbell’s and many other public and private organizations. Screening is very important if you are looking for the right person for the job. This will help you know if they fit your business. It is nice that we have this database that we can use to check information about an employee. But this is only for certain people right? So this is just for certain people. I doubt if they have access to all the employee data all over the world.